It has not been my intention to turn this into a food blog. However, there are two things I do every day — cook/bake and read books. 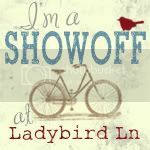 I don’t want to ignore my blog until I have a moment between 3 kids and a husband, all of who require my constant attention for some reason, for only when I sew and/or craft. So, I hope it’s not too annoying that I write a lot of posts about food and book reviews. And now….onto another post about food and sort of a book review. I’ve been on a mission to make pizza better than any of the pizza places around here. We have two mom and pop places that make delicious NY style pizza, but I’m cheap. When I make dough for 4 pizzas for pennies versus $25 for two pizzas, I would prefer to do it myself. So, when I found this book, I was super excited. It’s called My Pizza and it’s buy Jim Lahey. I found it in the new section at the library a couple days ago. I sat down to check it out while my youngest was playing in the awesome playroom in the kid area. They have a giant wooden playhouse complete with puppet theater at the back of it and a wooden grocery checkout FULL of food — in the library! Did your library ever have that when you were a kid? Mine certainly didn’t. A playhouse!! We love to go play there, especially on rainy and cold days. One of the nice things is that it’s not a “quiet” library. It is so much better than any fast food restaurant play places. Ok, I got off topic. 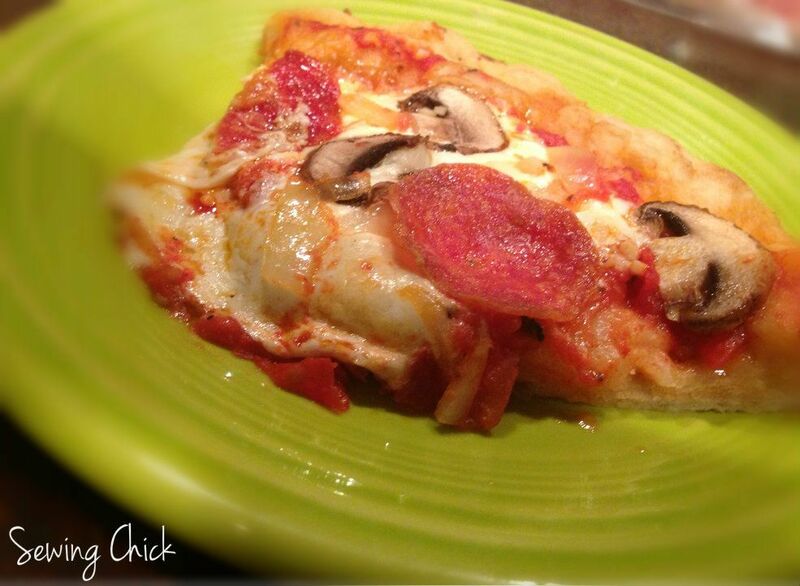 I’ve been looking for a good pizza crust recipe, but it seems the ones I’ve tried just weren’t very tasty, or I just didn’t know how to cook them. The basic dough recipe in this book came out wonderful. I made it tonight. Well, it actually takes 18 hours to make the dough as you are supposed to make it the night before. I settled for early this morning after I dropped off the kids at school. I made mine in about 12 hours. Next time I will try the 18 hour version just to see if I’m missing something. I love this book! It gives all kinds of wonderful tips for how to get the pizza stone super hot in an electric oven, how to get the oven super hot so it cooks pizza super fast, and how to squish canned tomatoes to make tomato sauce for the pizza. I used the tomato squish method tonight and everyone loved it. I even went the fancy route and bought some really nice mozzarella cheese that was still wet and squishy for our pizzas. My husband actually said it was better than takeout! Woohoo!! 1. In a medium bowl, thoroughly blend the flour, yeast, and salt. Add the water and, with a wooden spoon and/or your hands, mix thoroughly. We find it easiest to start with the spoon, then switch to your hands. 3. Flour a work surface and scrape out the dough. Divide it into 4 equal parts and shape them. For each portion, start with the right side of the dough and pull it toward the center, then do the same with the left, then the top, then the bottom. (The order doesn’t actually matter; what you want is four folds.) Shape each portion into a round and turn seam side down. Mold the dough into a neat circular mound. 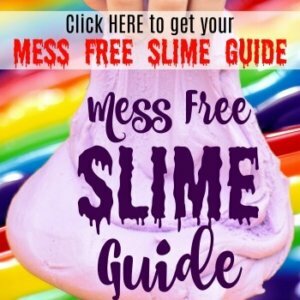 The mounds should not be sticky; if they are, dust with more flour. 4. If you don’t intend to use the dough right away, wrap the balls individually in plastic and refrigerate for up to 3 days. Return to room temperature by leaving them out on the counter, covered in a damp cloth, for 2 to 3 hours before needed. Then, I got a craving for key lime pie last night, so I decided to whip up one today for dinner. Yesterday was Mr. E’s birthday. While I brought him lunch and had cupcakes at school, it was a swim team night, so we did not have time for a big thing at dinner. I tried to make up for it today with delicious homemade pizza, a stop with hubby at GameStop, and key lime tartlets. I also got the stupid idea that instead of just buying Key lime juice already squeezed, I’d just buy 50 million key limes and squeeze them myself. Um…not one of my brightest moments, nor was it very fun pulling out about 100 million tiny seeds before juicing them. I think I squeezed about 25 key limes to get my 1/2 cup of lime juice. Next time, I’m probably going to buy the juice in the bottle. Instead of one big pie I wanted to make mini pies, so I bought these Keebler little tart shells. They were at Walmart and very inexpensive. It came with six tart shells, which was perfect for my recipe. Preheat oven to 350. Combine all 4 ingredients until smooth and well mixed. Pour into tart shells. (I filled mine to just a tad above the shell.) Bake at 12-13 minutes until set. Then, chill in the fridge for 1 hour. When ready to serve, whip the whipping cream and sugar until peaks are formed. Dollop a couple spoonfuls onto the tarts and serve. I was kind of nervous when I was investigating various recipes on how to make key lime pie. It’s very straightforward and not nearly as daunting as you might think. I was pleasantly surprised mine came out perfectly delicious! 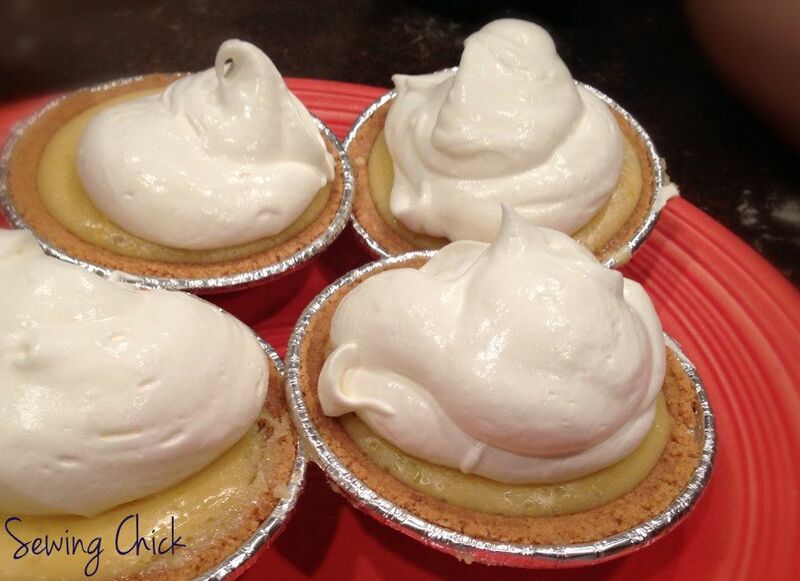 My key lime tartlets were featured over at Ladybird Ln!! How exciting!! I love key lime pie! I am beginning to like the mini sized desserts better….a little less calories HA! 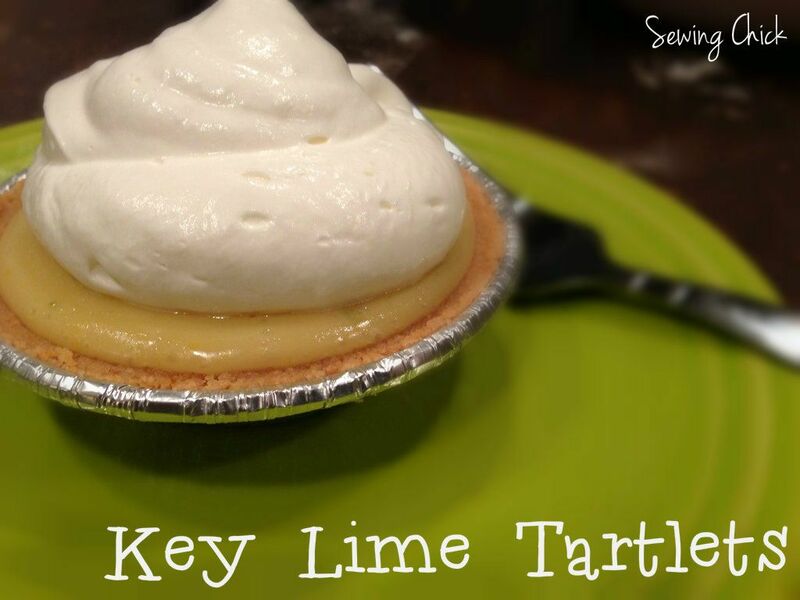 So I think I NEED a keylime tartlet right now, they look so good! Thanks for showing them off, I will be showing them off tonight at my party, hope to see you there!